Community Orchard Apple Day this Sunday! 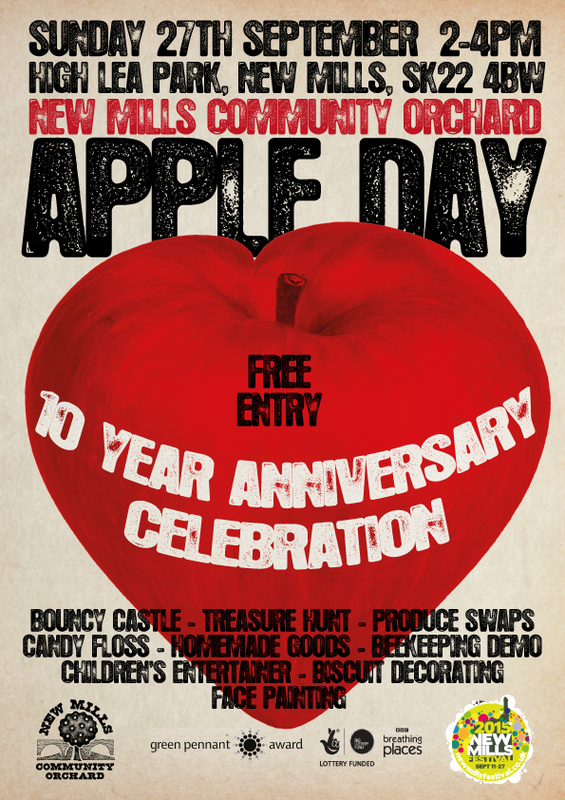 The New Mills Community Orchard’s Apple Day celebrations will be in the High Lea orchard on Sunday 27th Sept, 2pm-4pm. For growers, you can bring any excess garden produce you may have to swap with others, and peruse the Orchard’s extensive book collection for advice and inspiration (normally housed at New Mills Library). There will be all sorts of other entertainment for the whole family.